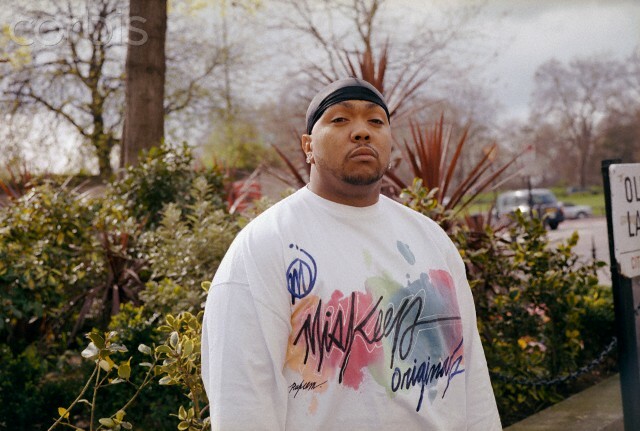 Producer Timbaland Revamped Hip-Hop Now He Wants Out! 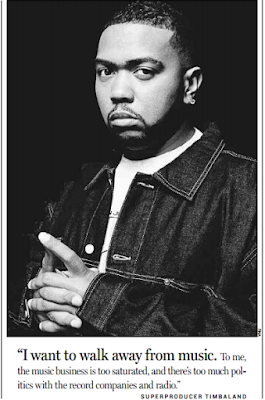 In Less Than A Decade Timbaland (aka Tim Mosley) Has Amassed dozens of hit Records as A Producer And/Or Songwriter. He is also Performing artist, engineer, remixer, and Head Of A Record Label, The Interscope-distuributed BeatClub Records. Now Timbaland Says He is Planning to eventually walk Away From The Music Business; He Candidly talked about Why and Provided Other thoughts on The Music Industry. What Are The Biggest Problems Facing the Music Industry today, and What Are the Solutions? There's Too Much Being developed at once. there's new software, new music and new programs that come out too quickly. By the time something new comes out, people are ready to move on to the next thing The "Instant-Hit" [Mentality] can mean instant failure. I wish the record companies would put more effort into artist development. You've Said That You Want to Walk Away From Hip-Hop. Why? It's not just Hip-Hop. I want to walk away from music, period. To me, the music business is too saturated, and there's too much politics with the record companies and radio. I'm not walking away right away, I'm about to totally change my whole image in 2004, It's Going to Shock People. If Hip-Hop has Become Boring, What Kind Of Music Excites You? I Like Coldplay -- that's real music to me. I like what the Neptunes are doing, But after a while, everything sounds the same. Even my Stuff. What Are The Most Important Things You've Learned? Then most important thing I;ve learned is to always have that ambition to keep fresh and always challenge yourself. I'm always competing with myself.